Last Update July 25th, 2016 — If you plan to use your chiropractic website to generate new business for your chiropractic office, you certainly don’t want to miss out on your share of search engine traffic. After all, if potential patients don’t find you online, they will definitely find your competitors. That’s why it is so important to build a complete digital media platform within your local market on a consistent basis. Without it, you can kiss attracting new chiropractic patients from the Internet goodbye! According to recent surveys, 85 percent of consumers use the Internet to find local businesses. Of these Internet users, a Google survey reported that 50 percent of people who use search to find a local business actually contact or visit that business within a day of making their search. While paid search traffic converts slightly better than organic search traffic, natural search engine listings are over eight times as likely to get clicked and win out in the end as far as providing a great return on an investment. Of course, Google isn’t the only place searchers find out about local services. For example, according to a survey reported upon by AdWeek, over 70 percent of respondents said they’d be more likely to patronize a business that they had connected with on social media. Other places on the Internet that people go to learn about products and services include video, PDF, and podcast sharing sites. Some examples of these are YouTube, Scribd, and iTunes. Looking for a chiropractic blog writing service? Then click HERE. Of course, attracting new chiropractic patients to your chiropractic website is only half the Internet marketing battle. Once they arrive at your site, you have a very small window of time to engage them. Typically this is done through content so you better make sure your content is great or you’ll lose them. You can easily determine this within your Google Analytics dashboard by studying your site’s bounce rate. 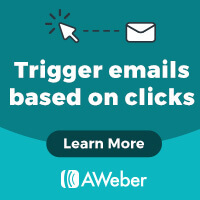 Great content will keep their attention, provide them the information they need to make an informed decision about chiropractic and, last but certainly not least, guide them into your sales funnel through lead capturing software. Since in some markets, competition is fierce — not only among chiropractors but also medical professionals — the first place you need to focus is on your website. I’ll save the specifics on chiropractic web design for a later article but you need to at least make sure your chiropractic website is mobile responsive. Once you have the proper design elements in place, you need to make sure your SEO foundation is solid. This includes all three components of chiropractic SEO — on-page SEO, off-page SEO and local SEO. You then need to review your lead capturing strategy. This becomes easier when you have great content to use as bait. It’s a bit more technical than that but, suffice it to say, great content is the magnet for attracting new patients through the Internet. Are you struggling with Internet marketing? Are you confused on where to start? Then click HERE to learn how to attract new patients using the Internet! Become a member for free! Do it today! 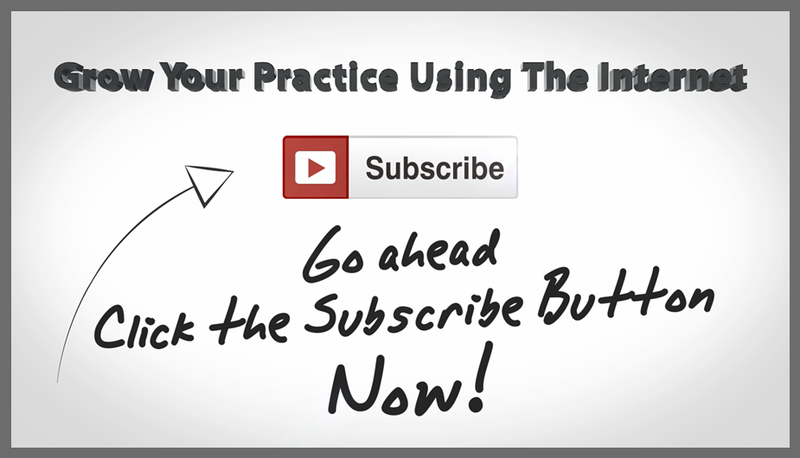 Be one of the first to know when my newest podcast for chiropractors goes live! Click HERE. Both search engines and social media users favor great content. But it shouldn’t always be delivered as just text. For example, take a look at this blog post. In it you’ll find relevant content that’s been created using text, video and graphics based off of the overall purpose of this site. Why do I take the time to do this? Because people consume content in different ways. For example, an article published over on Search Engine Watch called How to Create Compelling Content documents seven main learning styles. For example, people with a visual learning style are much more likely to get drawn in by graphics or videos. Those who have an aural learning style are more interested in absorbing information about your business via a podcast or at least the audio part of your videos. On the other hand, your verbal and logical website visitors are too impatient to watch videos or listen to podcasts; therefore, they’d prefer to read text-based content that provides further details on how you can help them. By following this model, you’ll not only help decrease your site’s bounce rate but will also help increase your chance of capturing those visitors as new patients. Creating great text content isn’t too difficult with services like Blogging Chiropractors. Likewise, chiropractic graphic content is also easily obtained through services like ChiroImages.com. But, because of various technical barriers, creating audio and video content can be a bit more tricky. I still recommend that you try, however, to overcome these barriers because, as mentioned above, people consume content in different ways. If you don’t provide your content in different formats, you’ll potentially miss out on connecting with other people who desperately need your services. Allow me to drive home my point another way. Google is both the #1 ranked website as well as the most used search engine in the world. But do you know which website is the second most used search engine? If you said, “YouTube”, you are correct! That fact alone should encourage you to focus more on video content as an integral part of your chiropractic marketing strategy! Subscribe to my YouTube channel! Click HERE. As you continue to build your digital media platform, you may wonder which type of content will outperform the rest and help produce the best return on your investment. The truth is you won’t know unless you test them all! As we’ve learned earlier, people have different learning styles that require topics to be presented in different media formats in order to make the greatest impact from your message. So make sure you include some form of tracking that allows you to analyze your results. Once known, you’ll have a better understanding on which one is the clear winner. One caveat, though: Don’t fall into the trap of only producing one form of content just because it outperforms the rest. If so, you’ll alienate your audience which will ultimately affect the ROI of your marketing. Bottom line: A mix of content that includes text, audio, video and graphics is your best strategy.